When it comes to premium data storage solutions, the Slug USB Drive should be your weapon of choice. This super tough and eye catching drive comes in a variety of sharp colors: Black, red, gold, silver, or copper. 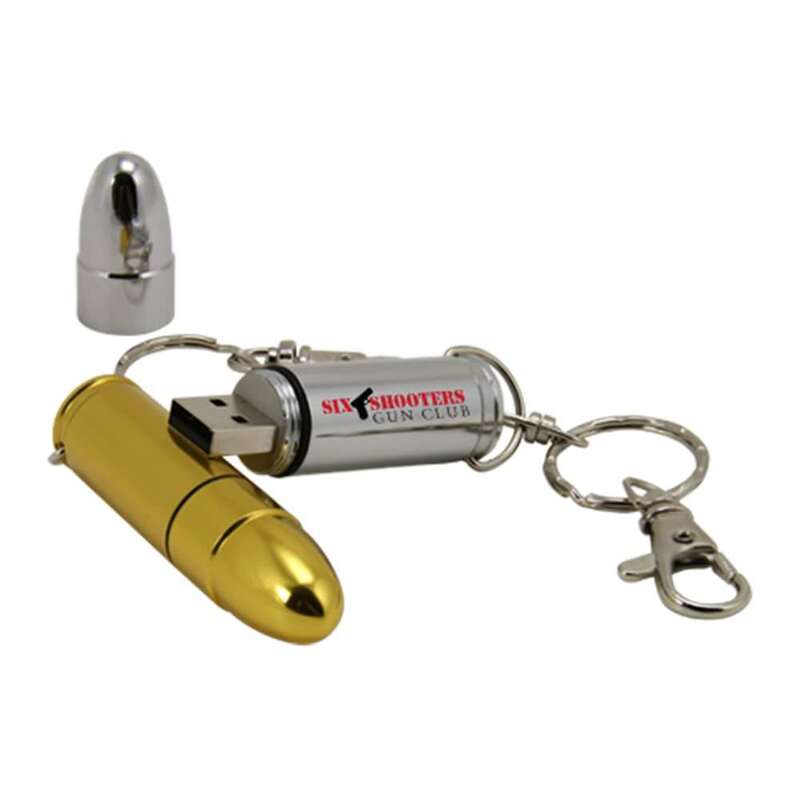 This bullet-shaped drive is topped off with a twist-off removable cap, making it easy to access your USB drive anytime. It comes with a shock resistance of 1,000G, up to 10 years of data retention, and a limited lifetime warranty. The Slug comes with a Free 4-Color Silkscreen or laser engraving. 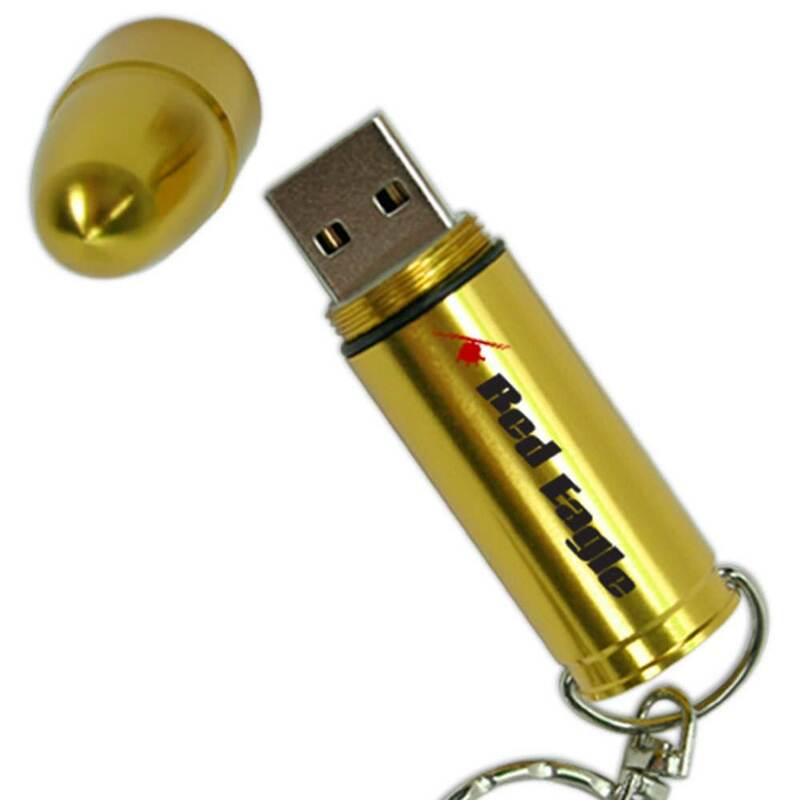 Always hit your target with this special customizable USB for the ammo enthusiast: The Slug USB Drive! This aerodynamic Hi-Speed USB is shaped like a bullet and packs some serious data storage firepower. Its storage capacities range from 128MB to 32BG; Perfect for storing your documents, pictures, videos, multimedia, presentations, music, and other essential files. The Slug drive’s metal casing comes in gold, silver, black, red, or copper colors. 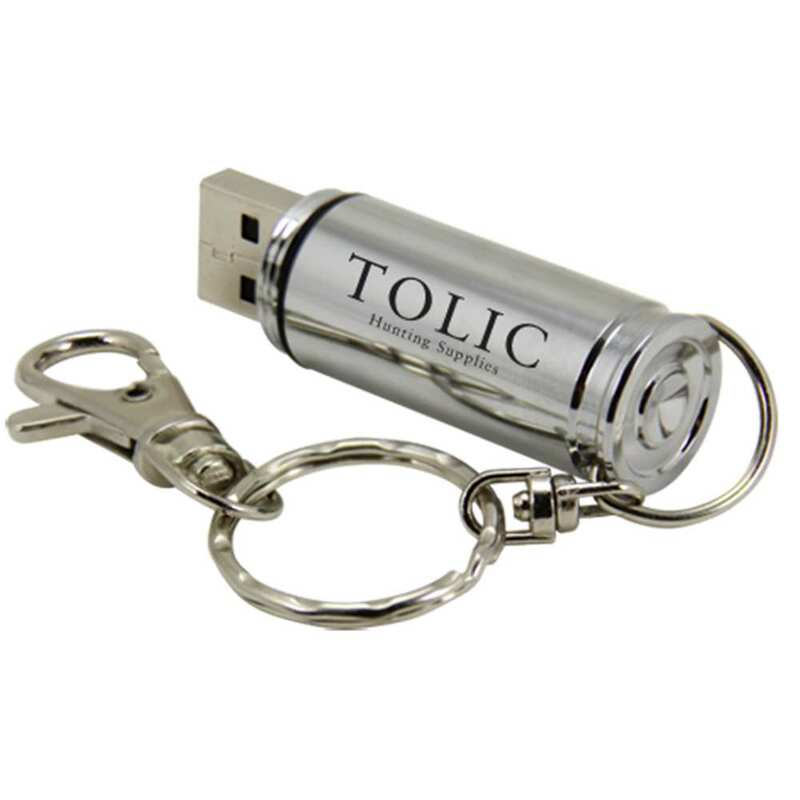 It features a twist-off removable cap that allows for easy access to the USB drive and shields it from harm. It’s metal body is hardy and damage-resistant. The drives comes with a shock resistance of 1.000G, up to ten years of data retention, and a limited lifetime warranty. It’s compatible with Mac, PC, and Linux. The Slug USB drive is great for people who love outdoor activities. Order the Slug with free shipping and it should arrive within 10 business days. The Slug also comes with Free 4-Color Silkscreen or laser engraving. You know that old saying, “a bullet with your name on it?” Now you can actually can! 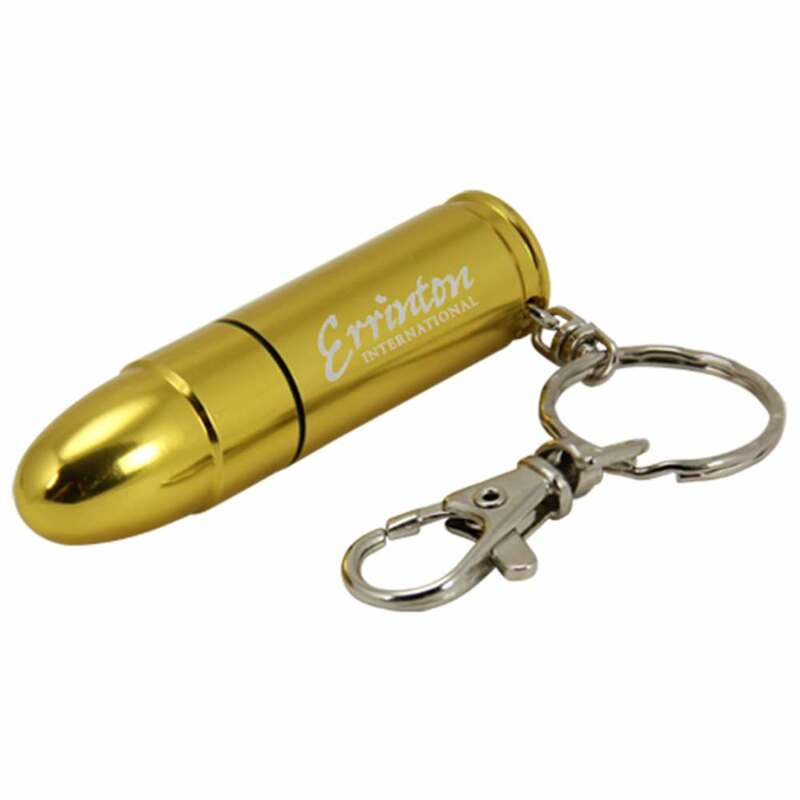 With the Free 4-Color Silkscreen or laser engraving you can put your logo, personal brand, or key information alongside the side of this prime piece of electronic “ammunition”.